The Japanese news agency Nikkei has put out a story saying that ambitious plans launched during the Chinese Year of the Earth Dog (Wuxu) are bound to fail as past experience shows. It points out that being the Year of the Earth Dog, 2018 is not auspicious for launching of any grand scheme. Tokyo, March 19 (Nikkei): For the superstitious Chinese, there have been plenty of signs to talk about this winter. A Chinese adage holds that decent snowfalls presage bountiful harvests. But this winter Beijing had been without snow until Saturday despite many days of sub-zero temperatures. Chinese Communist Party officials were excited about the snow on Saturday, the day that Xi Jinping and his right hand man Wang Qishan were elected President and Vice President, but it wasn’t entirely an act of God. Snow-making machines were mobilized to increase humidity. Also unusual was an earthquake that the capital felt shortly before Chinese New Year, or the Spring Festival. For the gossip-loving citizens of Beijing, there is more to be spooked about. The Chinese zodiac calendar with which the rest of the world is familiar, runs on a 12-year cycle. But there is also a 60-year cycle. This is not only the Year of the Dog but the Year of theWuxu,the earth dog. History says that the year of the Wuxu often carries a jinx. In 1898, the Qing dynasty, China’s last imperial dynasty, was near its end. Perhaps Emperor Guangxu, progressive and young, felt this. A few years earlier, he was shocked by the resounding defeat China suffered in the First Sino-Japanese War (1894-1895). So he launched the Wuxu Reform, handpicking young, forward-looking bureaucrats for a movement he modeled on Japan’s 1868 Meiji Restoration. The Wuxu Reform, however, only lasted around 100 days. The Emperor’s aunt, the West Empress Dowager Cixi, quashed it in what is known as the Wuxu Coup. 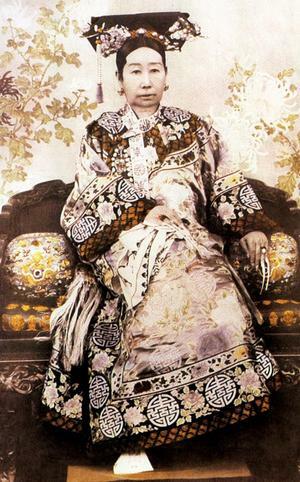 The West Empress Dowager was the mastermind behind the poisoning of her nephew, according to a recent study. The historic attempt to change China was shattered. Many reformists were thrown into jail. Talented youths were killed and others fled overseas. What began as a bid to put the country on a new path instead turned into a political war. History works in strange ways. The Wuxu curse would return 60 years later when, in 1958, Mao Zedong launched the “Great Leap Forward”, a reckless attempt to boost China’s agricultural and industrial production. The result was years of famine and an estimated 20 to 30 million deaths. Around this time, countless intellectuals were banished to remote regions in the infamous Anti-Rightist Movement. The crackdown on dissidents also took countless lives. Now China has taken another 60-year leap; the latest Year of the Wuxu was ushered in last month. And true to the tradition of Wuxu bombshells, China was shocked by a short English announcement in the state-run Xinhua News Agency: China was about to abolish the term limit for the office of President and, in effect, allow Xi Jinping to reign for life. Chinese cannot express themselves freely on the internet due to the regime’s increasingly tight censorship. Posts on platforms like Weibo and WeChat opposing the removal of the Presidential term limit are being deleted, and posters are receiving notices of their illegal activity. Among the terms targeted by China’s online censors isXidi, literally “Emperor Xi.” The buzzword is used by many Chinese netizens critical of Xi and his concentration of power. But Beijingers love to talk of politics. So they do so in person, by word-of-mouth. And they are gossiping about why their President had to take such an extreme measure. 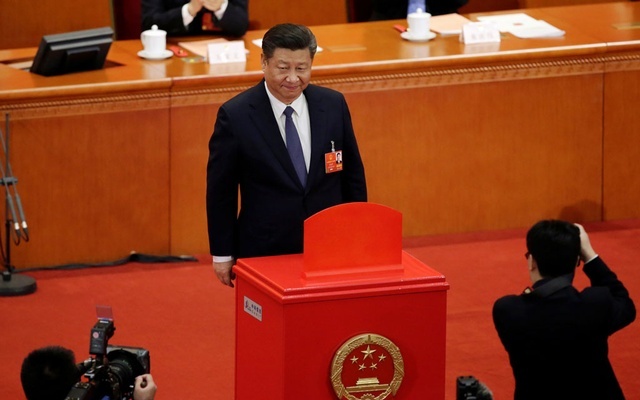 Xi also serves as Chairman of the Central Military Commission, the top military organ that supervises the People’s Liberation Army, and as General Secretary of the Chinese Communist Party, where real power is wielded in the country. The official explanation for getting rid of the term limit is the need for harmony with the position of party General Secretary and Head of the Military Commission, neither of which is term-limited. Xi’s people went so far as to tap Christianity and the Holy Trinity to explain this new move. In Christianity, God the Father, God the Son, and God the Holy Spirit are not three gods but a Trinity. This is far from convincing, and Beijingers are not buying it. They suspect that there is another reason, and that is that Xi cannot possibly step down. Since coming to power, Xi has used his signature anti-corruption campaign to tame rival factions. Many influential figures have fallen victim to the crusade. Along the way, Xi has earned plenty of enmity. Xi would face harsh retaliation from political foes if he were to lose power. The past five years have been a good sample for what happens to top leaders who step down prematurely. Hu Jintao’s closest aide, Ling Jihua, is serving life imprisonment. Li Yuanchao, once a rising star in the Communist Youth League, a faction that Hu led, was not re-elected as Central Committee member and was forced to step down as Vice President. At a bookstore in Wangfujing, a busy shopping district in central Beijing, copies of a biography like book about Xi, with an old black-and-white photo of a younger Xi on the cover, occupy the upper shelves. A book about Chairman Mao sits on a lower shelf. Relegated to an even lower shelf is a book about Deng Xiaoping, who became Supreme Leader after Mao’s death and initiated China’s “reform and opening-up” policy in the 1970s. No book about Jiang Zemin or Hu Jintao, Xi’s immediate predecessors, can be found, at least not in the shop’s main space. The Jiang and Hu eras are now sinking into oblivion, at least according to Sino-bookstoreology. But Beijing customers are not sharing the excitement that Xi’s people would like to portray. Mao titles are selling better than the book on the top shelf. On the eve of the constitutional vote, authorities in Beijing were on edge, wary of the objections many have to the term limit removal. On March 11, parliament scrapped clause with 2,958 deputies voting in favor of the motion and two voting against it. Three deputies abstained. Xi appeared to be relieved. He had stationed an unprecedented number of police throughout the capital that day in case any dissent had to be quelled. People going to Wangfujing by subway or foot had to pass by unusually heavy security details that included armed police, special police, plain-clothes police and militia; they also had to be screened before entering the bustling shopping district. At the National People’s Congress, voting is done by secret ballot, but deputies had to cast their ballots in full view of their peers. Being seen to go against the constitutional change would put one’s political career at risk. An official in charge of the current parliamentary session spoke at a press conference on March 11, immediately after the big vote. The official explained that there had been no objections to removing the Presidential term limit and flatly dismissed concerns that something like the Cultural Revolution could happen again. Is this really the case? We will only know five years, 10 years, or maybe 20 years down the road.